Scapegoating is a serious act. When one scapegoats another person or people, one falsely accuses him or them of a crime for which the accuser knows they are not responsible. It results in both prosecution and persecution of the scapegoated. But now for the troubling reality. 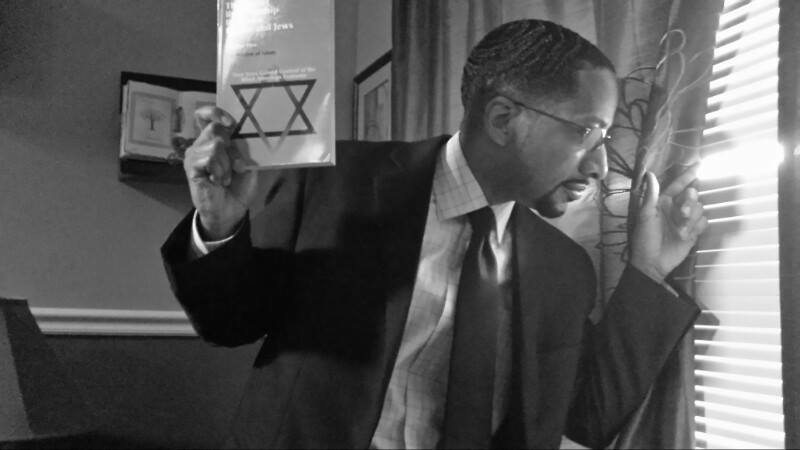 One of the new books released by The Minister, “The Secret Relationship Between Blacks and Jews,” Vol. 2, allows us unprecedented access to the private confessions of Jewish scholars and rabbis about their strategy of using the Black Man and Woman as scapegoats for their own economic and political advancement. This history is deviously Machiavellian and begins long before Blacks were brought forcibly into America. The medieval rabbis, seeking to validate the increasing focus of their slave merchants on Africa, invented the “Curse of Ham,” which scapegoated ALL Blacks for ALL worldly sins and targeted them for derision and exploitation forevermore. And that only started the racist process. Rabbis Judah Halevi and Moses Maimonides were considered “the two greatest thinkers the medieval Jewish world produced,” and virtually the only point on which they agreed is that Blacks were biologically inferior to Whites. Mr. Foxman’s ADL gives to its worthies the “Maimonides Award,” named for the race-hating rabbi who taught that Black Africans were “lower than the rank of man but higher than the rank of the apes.” Both of these “great thinkers” helped make the enslavement of the African practically a religious commandment. When Jews immigrated to America, the racist Jewish scapegoating only multiplied. Jewish religious and economic leaders (they were really one in the same) found that the system of African slavery was their “golden ticket” to unbridled Jewish wealth. 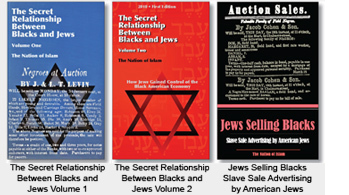 There is absolutely no evidence that they were in any way concerned with the immorality of that wicked commerce, and as the new book “Jews Selling Blacks: Slave Sale Advertising by American Jews” clearly shows, they engaged in it openly and publicly. And while Jewish merchants aggressively marketed slavery and slave-produced commodities like cotton and sugar, virtually ALL of the most prominent American rabbis taught their American Jewish congregations of Black racial inferiority. Even the White abolitionists had to ask out loud why the Jews were totally absent from their movement. Rabbi and historian Bertram Korn answered that “many Southern Jews believed slavery to be indispensable to their happiness and security.” According to Dr. Korn, “The road to social and economic advancement and acceptance” for the Jews “was made easier by the institution of slavery.” In fact, the most important rabbi in America—the man who founded Reform Judaism, Isaac M. Wise—believed that abolitionism was the major threat to Jewish existence in the mid-1800s! Yiddish-speaking immigrants arrived in America using a common term for the Devil: der Schwarzer, the “Black One,” or der schwarze Mann, “Black Man.” This Talmud-inspired belief system became the subtext that drove the cruelty of every lynch mob and every whip-wielding overseer, every Jim Crow enforcer and every race-baiting politician. Today’s leaders of Jewish thought have really not changed from the deeds of their fathers. Jesus described them in John 8:31-47. They hypocritically ignore their own history of hate and charge The Minister—our Minister—with scapegoating the Jews just for demanding that they cease their centuries-long racist assault. Jewish historians, however, agree with Minister Farrakhan in their most scholarly writings and admit that the Jews have always used Black people as their scapegoats. Let us consult a few of them. The reality is that Jewish Americans flooding into the nation in the slavery and Jim Crow era had no compelling interest in seeing Blacks emerge from their degraded political, economic, and social station at the bottom of American society. The fact that Blacks were permanently and forcibly locked at the bottom is indeed what made America such an attractive destination to the European immigrants. These newcomers understood that Jim Crow law deliberately crippled the greatest labor force on earth—the Black African. And that meant that these Europeans would never have to face economic competition from them, and thus would never have to occupy the bottom rung of the American ladder. This American-styled scapegoating created and continues to create unbridled opportunities and made the Jews of America the richest ethnic group in American and world history. Jews were slave-traders, cotton dealers, investors in Jim Crow—everything BUT abolitionists and racial reformers. They SCAPEGOATED Blacks but then posed as our friends. And now that their world is fast imploding they have aggressively returned to their old playbook and have pointed their bloody fingers at the greatest Black man in our midst today, the Hon. Min. Louis Farrakhan. Thank you, thank you, Minister Farrakhan. Thank you!